Gelimer, King of the Vandals and Alans (530–534), was the last Germanic ruler of the North African Kingdom of the Vandals. He became ruler in June 530 after deposing his first cousin twice removed, Hilderic, who had angered the Vandal nobility by converting to Chalcedonian Christianity, as most of the Vandals at this time were fiercely devoted to Arian Christianity. 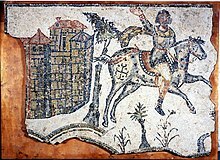 Hilderic was the penultimate king of the Vandals and Alans in North Africa in Late Antiquity (523–530). Although dead by the time the Vandal kingdom was overthrown in 534, he nevertheless played a key role in that event. 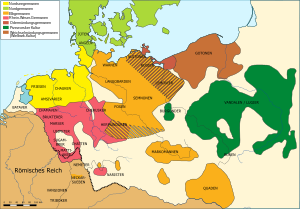 Vandalic was the Germanic language spoken by the Vandals during roughly the 3rd to 6th centuries. It was probably closely related to Gothic, and as such is traditionally classified as an East Germanic language. Its attestation is very fragmentary, mainly due to Vandals' constant migrations and late adoption of writing. All modern sources from the time when Vandalic was spoken are protohistoric. 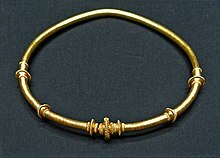 The Silings or Silingi were a Germanic tribe, part of the larger Vandal group. 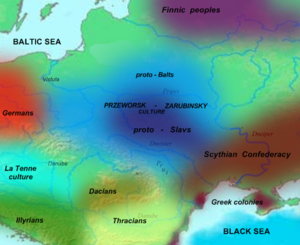 The Silingi at one point lived in Silesia, and the names Silesia and Silingi may be related. After the destruction of Punic Carthage in 146 BC, a new city of Carthage was built on the same land. By the 3rd century, Carthage developed into one of the largest cities of the Roman Empire, with a population of several hundred thousand. 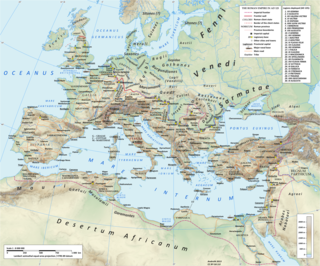 It was the center of the Roman province of Africa, which was a major breadbasket of the empire. 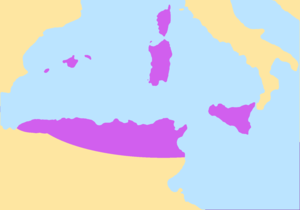 Carthage briefly became the capital of a usurper, Domitius Alexander, in 308–311. Conquered by the Vandals in 439, Carthage served as the capital of the Vandal Kingdom for a century. Re-conquered into the Byzantine Empire in 533/4, it continued to serve as a Roman (Byzantine) regional center, as the seat of the praetorian prefecture of Africa until it was finally destroyed in the Muslim conquest of the Maghreb in 698. The Vandalic or Vandal War was a conflict fought in North Africa between the forces of the Eastern Roman or Byzantine Empire and the Vandalic Kingdom of Carthage, in 533–534. 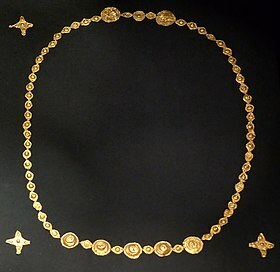 It was the first of Justinian I's wars of reconquest of the lost Western Roman Empire. The Vandal Kingdom or Kingdom of the Vandals and Alans was established by the Germanic Vandal people under Genseric, and ruled in North Africa and the Mediterranean from 435 AD to 534 AD. The Battle of the Nervasos Mountains occurred in the year 419 and was fought between a coalition of Suebi, led by King Hermeric together with allied Roman Imperial forces stationed in the Province of Hispania, against the combined forces of the Vandals and Alans who were led by their King Gunderic. This battle occurred in the context of a contemporary Germanic invasion of the Iberian Peninsula. The battle took place in what is today the Province of León, Spain, and resulted in a Roman/Suebian Victory. 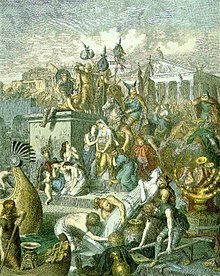 Carthage was captured by the Vandals from the Western Roman Empire on 19 October 439.